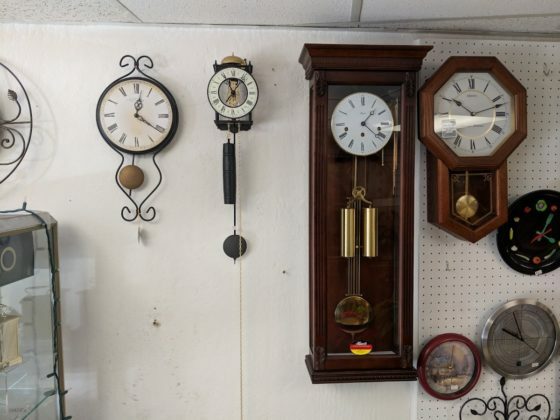 Unlike at clock shops in movies, in this tiny, one-person clock shop the majority of the clocks that tick are blissfully still. But enough are ticking to provide a nice quiet rhythmic segmentation of each second. I’d love to record this place in the middle of the night.